For the recruitment of motivated but at-risk teenagers FairMail cooperates with different local charities working with the same target group. This means we work with a mix of teenagers who either used to live on the street, recycled garbage to supplement the family income or whose parents were not able to pay for their children’s education. The cooperation also allows us to combine efforts and strategies with the social workers and psychologists working for our partner organisations to keep “our” kids on the right track. But how much do the FairMail teenagers themselves know about the backgrounds of their colleagues? That is why we organized several exchange visits for the FairMail teenagers to our partner organisations. 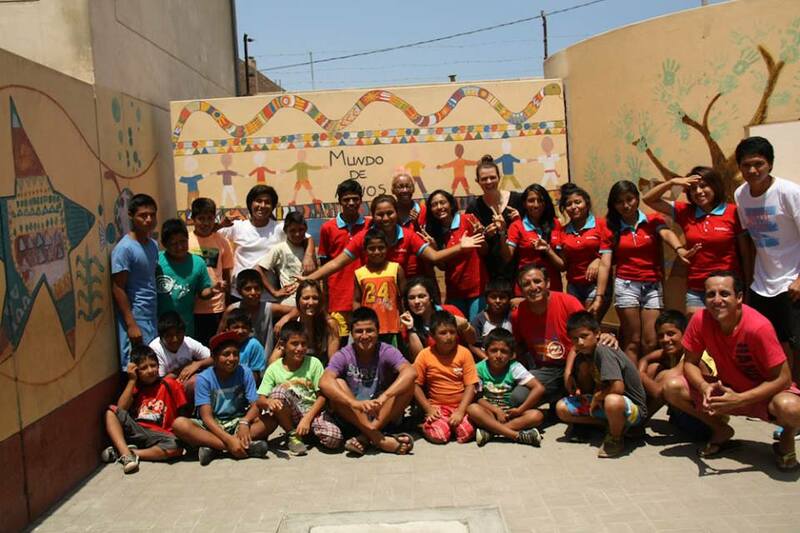 A few weeks back the entire Peruvian FairMail team visited the Mundo de Ninos boys home. This street children’s shelter in Huanchaquito works hard to get street children off from the streets and to provide them with a home, food, love and education. In total 11 of the 30 Peruvian FairMail teenagers have lived in Mundo de Ninos. At this moment Paul and Dante have Mundo de Ninos as their substitute families. Their social worker suggested that the boys’ room needed a bit of a “female touch” to make it more cozy. 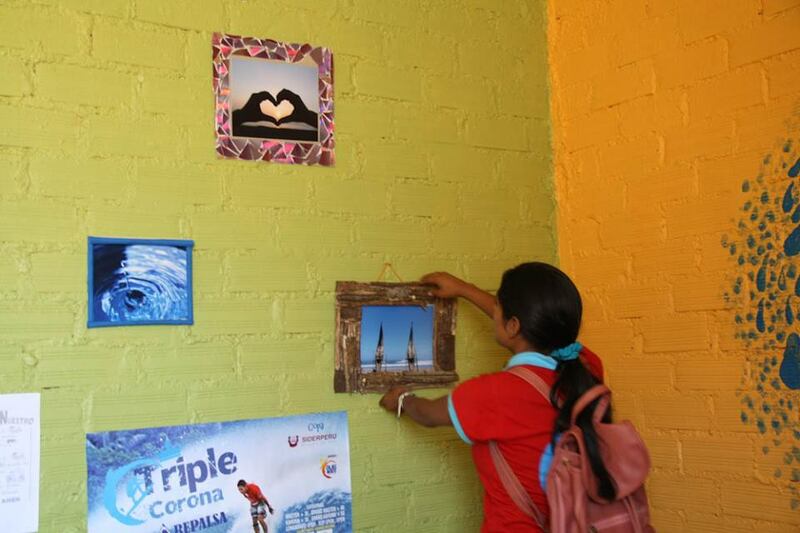 So during FairMail class the teenagers worked in pairs to make picture frames from recycled materials in order to put up six of Paul and Dante’s own pictures on their walls. During the visit in March we put up the frames. Paul and Dante’s room now looks great! Not only showcasing their talent for photography and providing fond memories of the moments they took their pictures, but also as lasting symbols of their new friendships within FairMail. To get to know Paul and Dante’s housemates we also joined in a mini soccer tournament with the other (smaller) boys and their tutors. 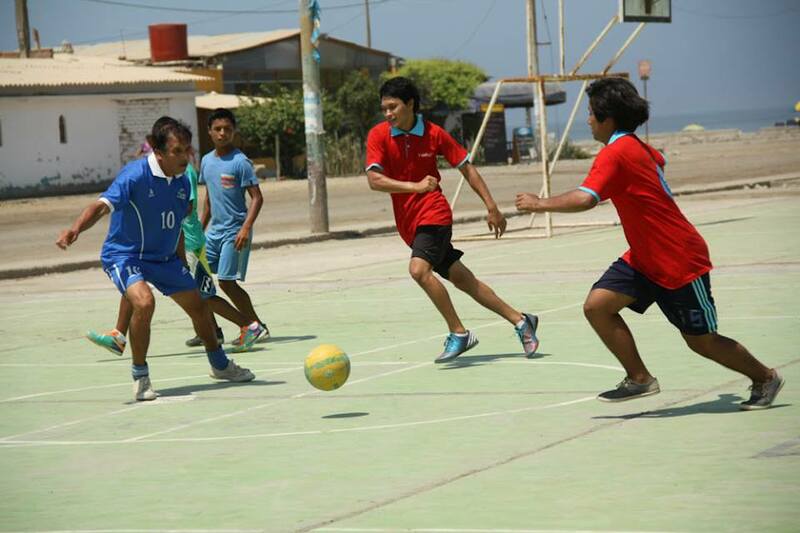 FairMail’s female soccer team lost from the smallest Mundo de Ninos kids after a penalty shoot-out. While the FairMail boy’s suffered a humiliating 6-0 defeat by the older Mundo de Ninos kids. But more important were the shared moments of fun and laughter. And that the entire FairMail team now knows a bit more about where Paul and Dante are coming from. Earlier that month a youth delegation of another partner organisation, YMCA El Milagro who works with families living near the garbage dump, visited FairMail. During the occasion the FairMail teenagers acted as photography trainers, giving a photography workshop to the YMCA teenagers. It was great to see our students in their new roles as teachers and share their passion! This showed to be contagious as at the end of the workshop some of the YMCA kids were informing about how they could join FairMail. To be continued …..